First of all, I wanted to dedicate this post to Gina. She and her family are going through a lot right now, to say the least. My heart has been heavy thinking of her, and I just can't even imagine having to go through half of the emotional roller coaster she is living at the moment. So, keep her in your thoughts and prayers! 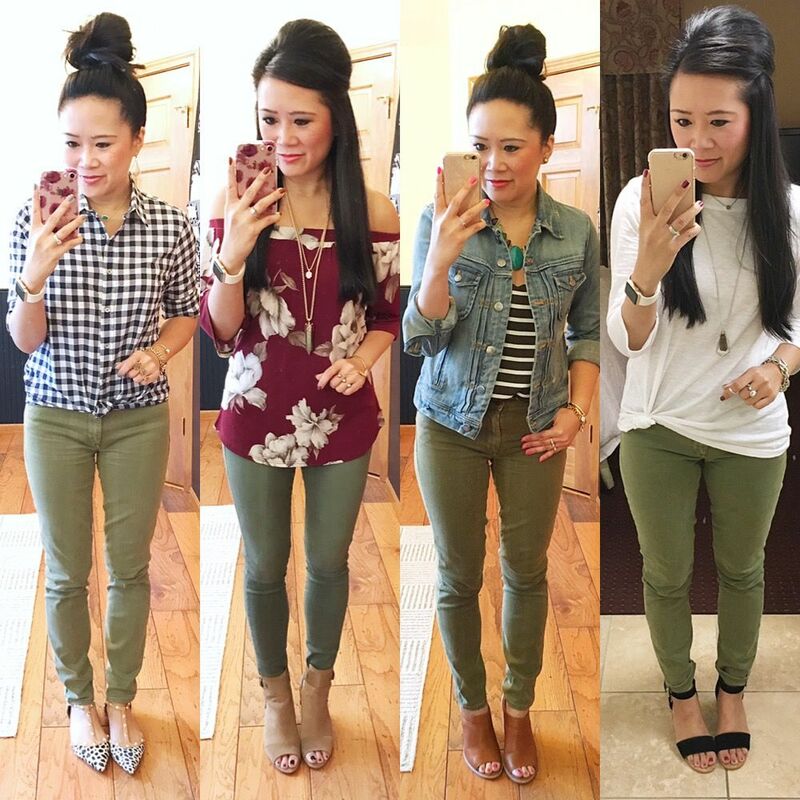 All of that said, Gina put together a fall favorites post a couple of weeks ago that included all the ways she has styled her olive bottoms, and it inspired me to pull together all of my looks into one post as well. I bought my first pair of olive skinnies last year, and they quickly became a pair I turned to over and over. See for yourself! Grey and olive make a natural pairing for me. 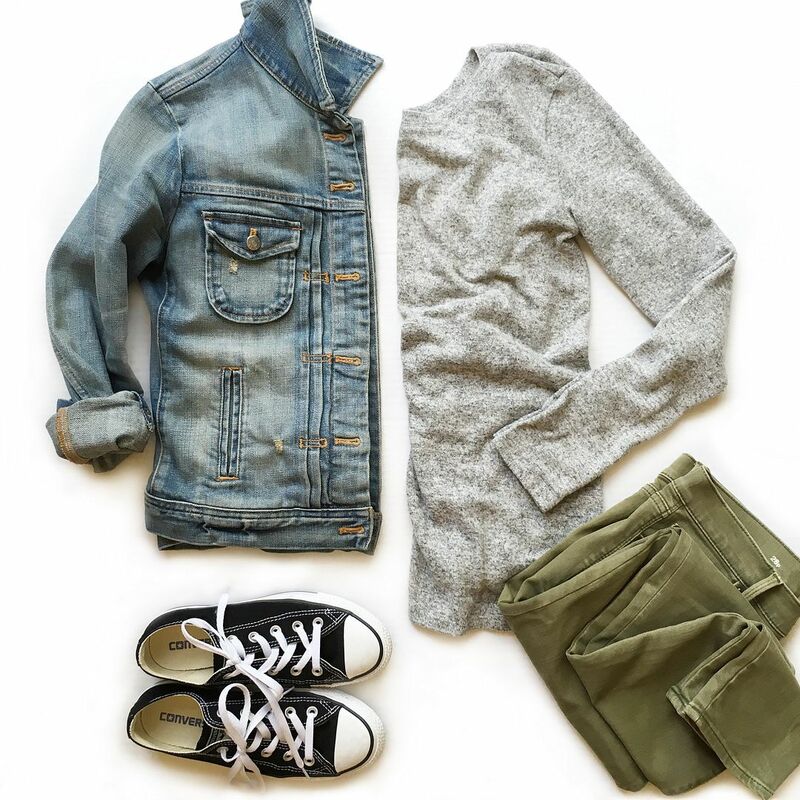 Especially when it comes to a super casual feeling outfit like this one. The denim jacket adds warmth, and is a good alternative to my utility jacket I would normally grab when it's cool but not super cold outside. Leopard is another thing that I automatically want to pair with olive without any thought. Maybe it's the safari vibe olive can have that makes me think of animal print? I dunno, but it just works! I still need to wear this combo, actually. I put it together as I was trying to come up with ideas to style my new wine colored vest. I love the way wine and olive mesh together! It's an unexpected combo, but the colors work together just as well as the food versions of olive and wine pair together! I can't find my actual selfie of this outfit, perhaps I never took one? But I do remember that this was a travel outfit combo. My trusty Cole Haan booties are so comfortable for travel. When I am traveling with coworkers, I try and avoid wearing jeans. It's honestly not a big deal if I do, but I just like to avoid it if I can. 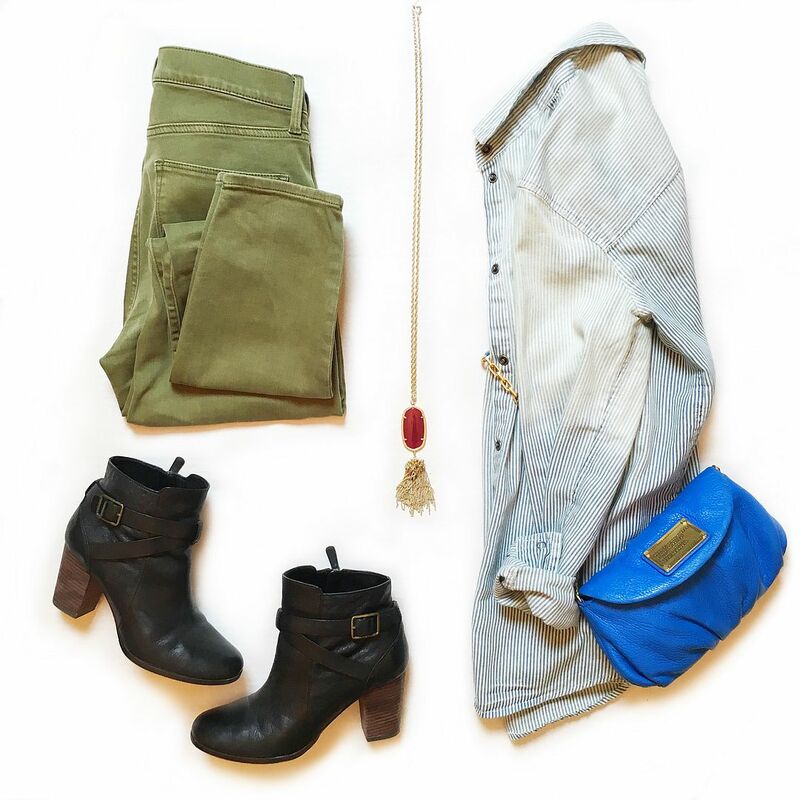 Olive skinnies are a perfect alternative, but my chambray still keeps it casual up top. 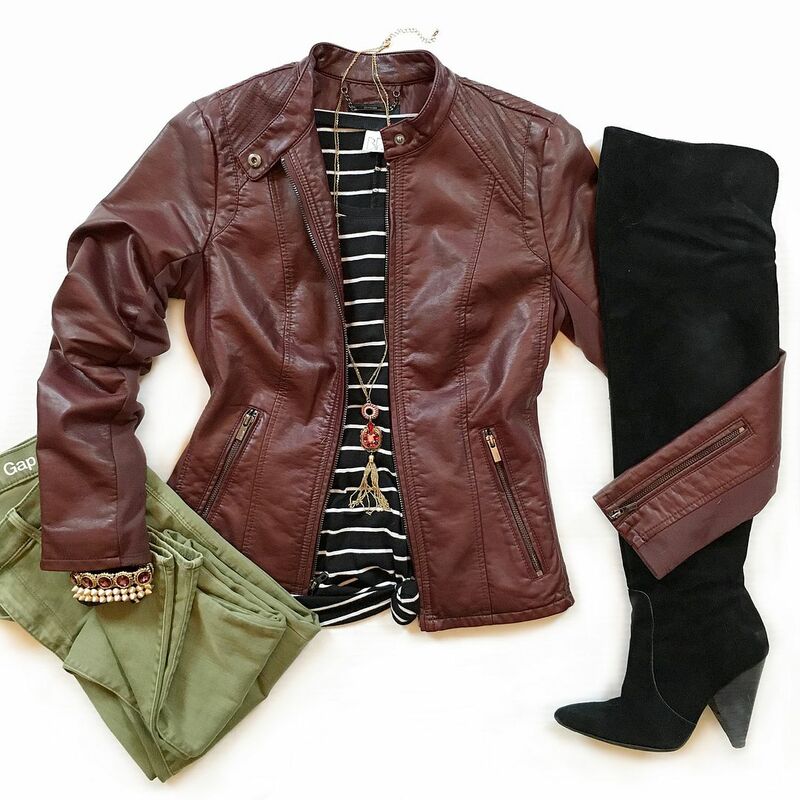 This burgundy moto jacket has a lot of chocolate undertones to it, and I love how it contrasts with the black stripes and over the knee boots here. I could have done regular black skinnies, even white skinnies, or typical blue denim, but the olive is a nice surprise. 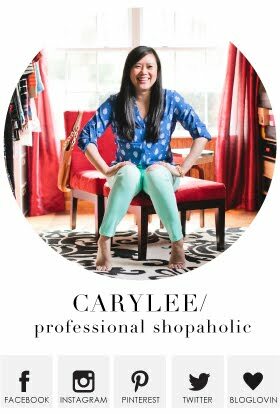 If it's more helpful for you to visualize outfit pairings by seeing them on an actual human vs. seeing them in a flat lay, these selfies are for you! The pair I am wearing in the first, third, and fourth outfits are from Gap last year, that unfortunately are sold out now. Now that I've dropped some weight, they are even less fitted on me and I've been wanting to replace them. I found this amazing pair from American Eagle which is what you are seeing in the second photo. I love how fitted they are through the knee all the way down to the ankle. I am wearing a size 4 short for reference, which is my normal size I would wear at AE. If you're in the market for a new pair, I highly recommend them. There is also this pair at Express that you could try, or this Levi's pair looks great, too! So there you have it! I know there are other outfits I'm missing, like this one here with my suede moto jacket, but hopefully this is enough inspiration to get your creative juices flowing. 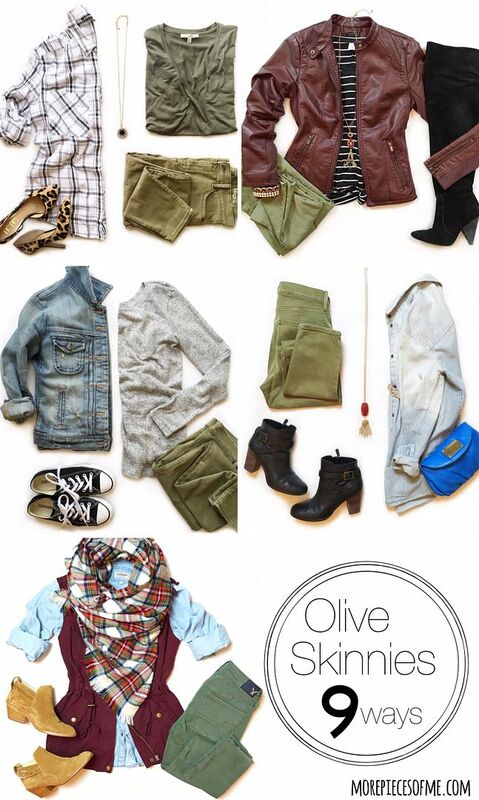 In all honesty, it's hard to think of a color that would NOT pair well with olive. Olive and mustard look great together. 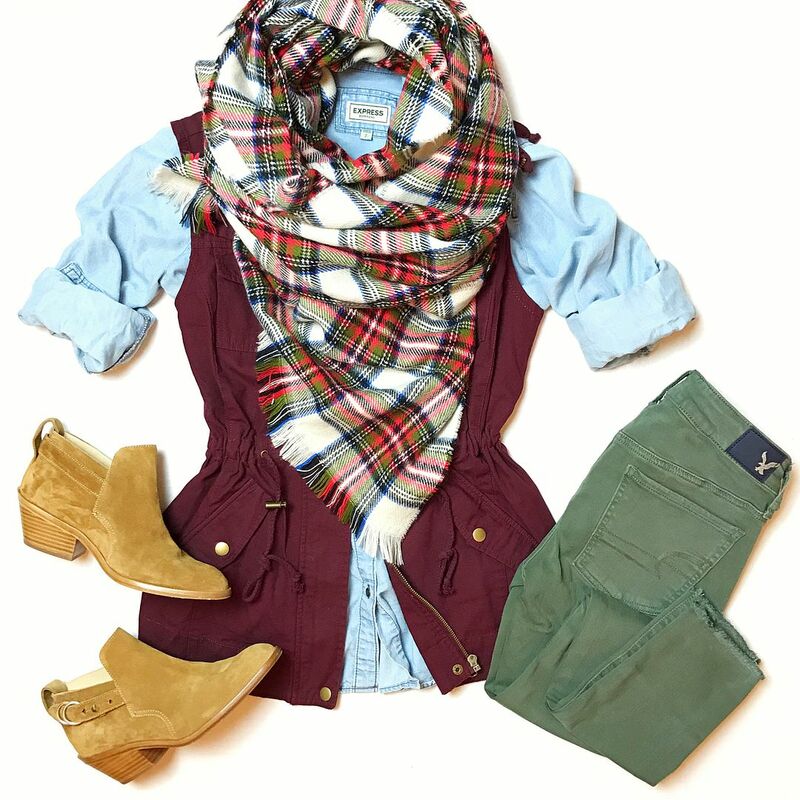 Olive, navy, and orange is a great combo! Hot pink and blush pink look great with olive! The possibilities really are endless. If you don't have a pair of olive bottoms yet, you are missing out! Get on that! I love how you put these looks together! Great styling! I've never considered an olive pair of pants before, but you have made me see the light! Clearly I need them! 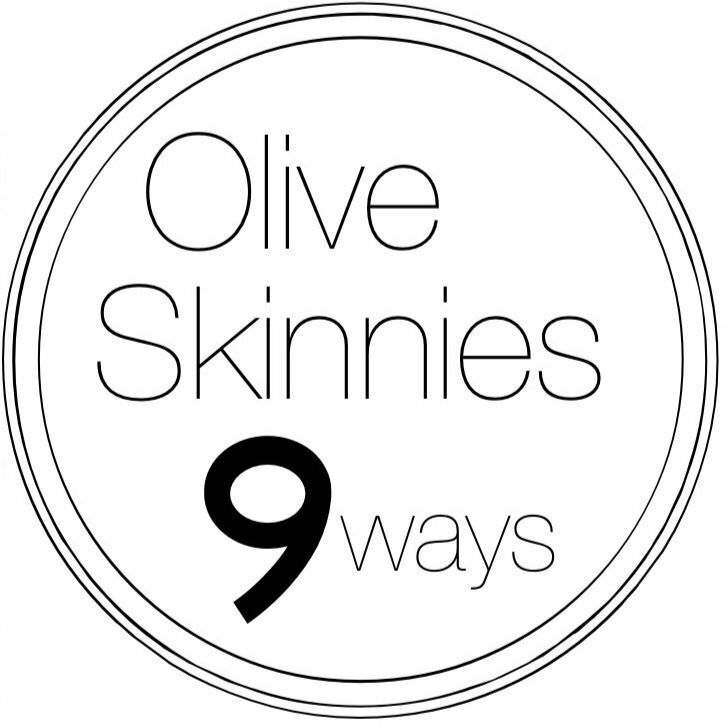 I now have olive pants and skinny jeans so this will be so helpful. Pinning it now. I am honestly overwhelmed at your continued kindness. Thank you for the sweet tribute!! And thank you for this handy reference! I will most definitely be referring to it again! 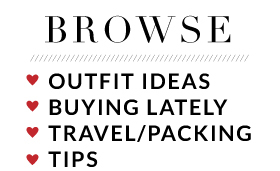 I was just thinking I need to upgrade my olive pants. They are such a great staple! I am in love with your 3rd outfit with the wine vest. That is perfection! Had to come check this out since I just got a pair. great inspiration! Thinking of Gina as well.